Elaine Pereira retired as a school Occupational Therapist with more than 30 years experience in pediatrics and a decade in adult home care. She earned her Bachelor’s Degree from Wayne State University in OT and her Master’s in Liberal Arts. 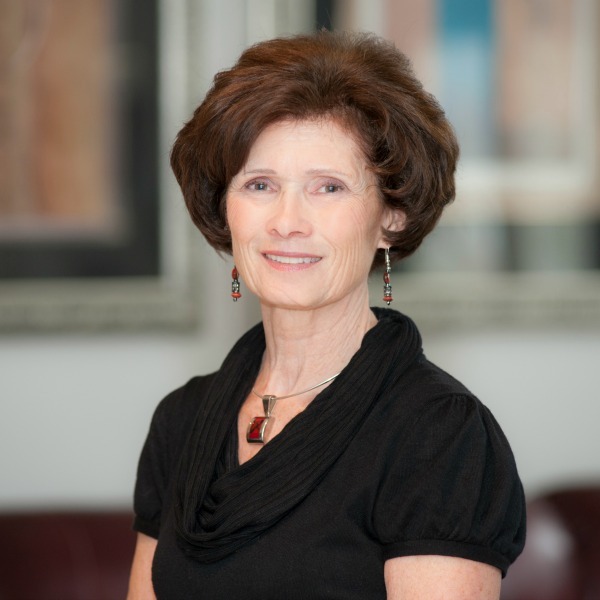 Pereira maintains her OT licensure and holds Certifications as a Dementia Caregiver and Practitioner. She and her husband Joseph live in southeastern Michigan with their two big dogs Bailey and Maddee and Snoopy the cat. Together they have five adult children, Elaine’s twin daughters and Joe’s three sons and five grandchildren. I Will Never Forget-A Daughter’s Story of Her Mother’s Arduous and Humorous Journey Through Dementia is Elaine’s first book, a memoir in tribute to her amazingly talented mother. Pereira writes for MariaShriver.com, Alzheimer’s Reading Room, Endear For Alzheimer’s and a variety of guest blog posts. She has been featured in four television spots, Fox 2 Detroit, Living Dayton and Fox 45 Dayton and The Best of Aging magazine, April 2013 edition. Her hobbies include golf, sewing, hand-craft projects and gardening. She has traveled extensively throughout the United States and world wide including Europe; Madeira, Portugal; Australia; Seoul and Hong Kong. Now she networks extensively to advance Alzheimer’s awareness and donates from each book sold to Alzheimer’s research. 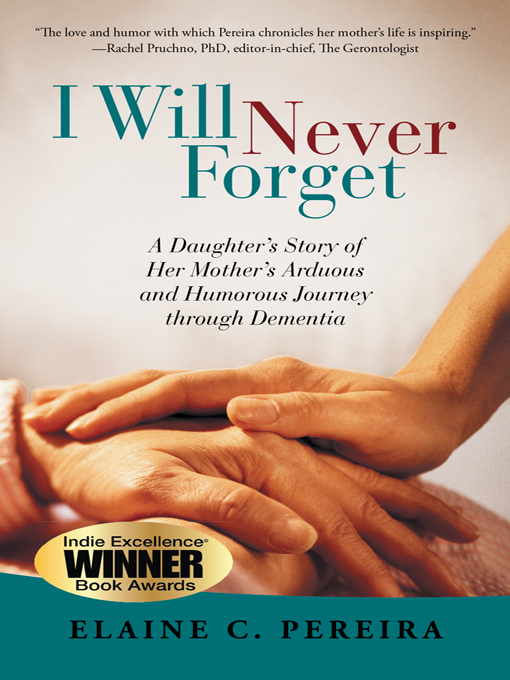 I Will Never Forget is the incredible true story of the author Elaine ’s talented mother’s poignant and often humorous journey through the mystifying haze of Dementia. Through superb stories of Elaine's childhood, from her controversial name, tales of smoking' dragons and the feisty teenage years, her mother Betty Ward’s wonderful character is revealed. Over time, as their relationship evolves and a new paradigm is formed, Betty begins to exhibit goofy actions, uncharacteristic verbal assaults and bizarre thinking. Although clearly mystified by her mother's irrational behaviors, Elaine does not appreciate the extent of Betty’s mental decline. Her amazing ability to mask the truth clouds Elaine’s vision and prolongs her denial until one cataclysmic explosion of reality over an innocuous drapery rod launches a waterfall of destructive events. As her mother’s brilliant mind is steadily destroyed by Dementia's insatiable appetite for brain cells, Elaine accompanies her mother on her journey. She witnesses Betty’s fascinating visions of her own mother, masterful Houdini-like disappearances and finally a stunning rally to take control of her own destiny.